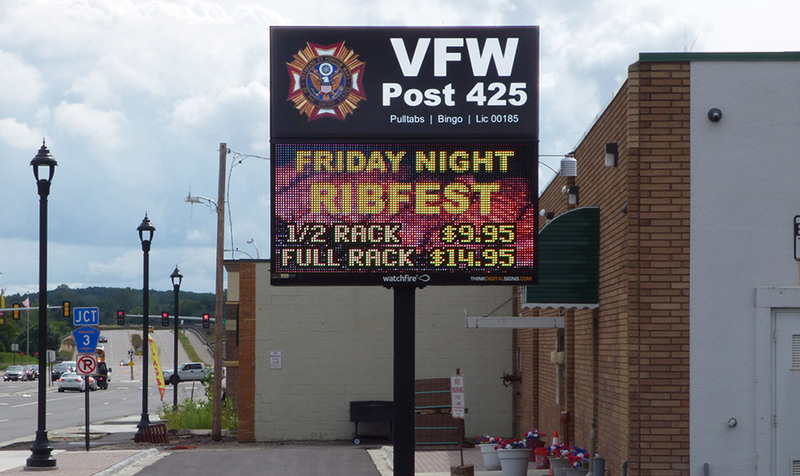 Post 425 in Hopkins Minnesota was looking for a way to increase their volume of business, so they could better serve their veteran members. 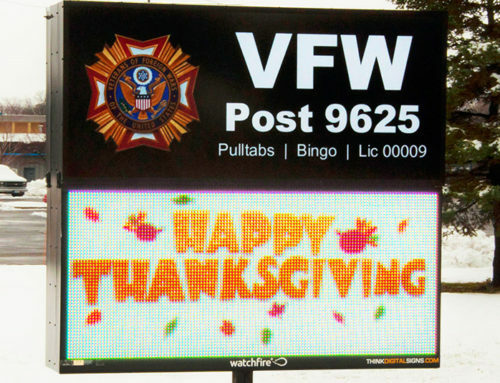 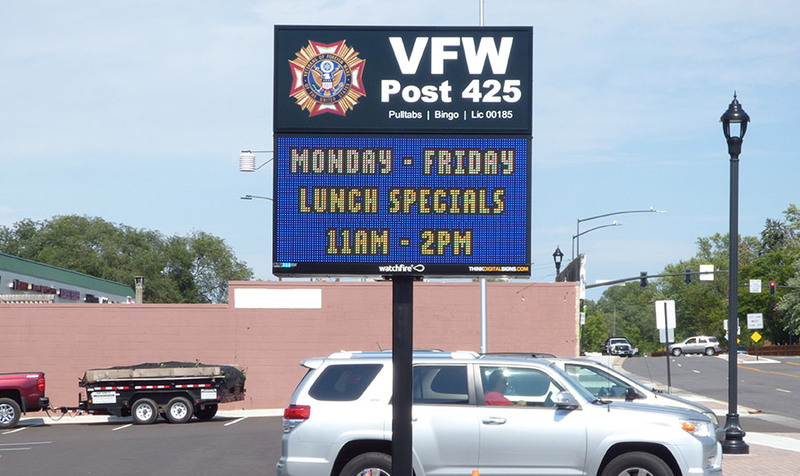 Post 425 has already noticed a difference because of the investment they made into their marketing plan. 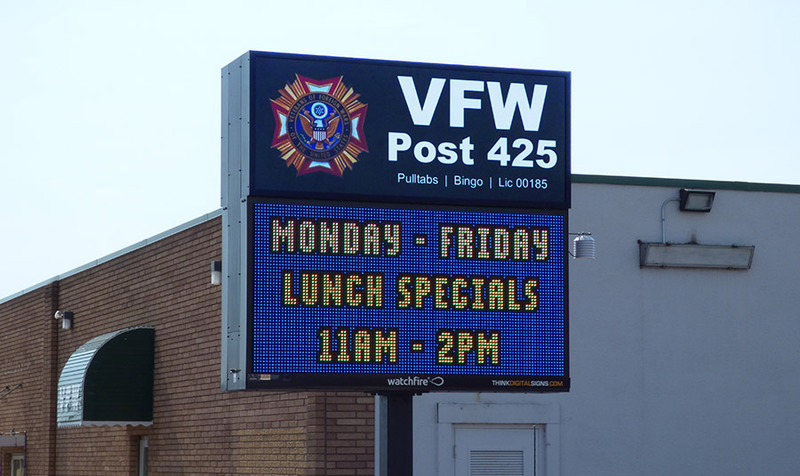 Our lunch traffic has definitely picked up, as we have advertized lunch specials daily. 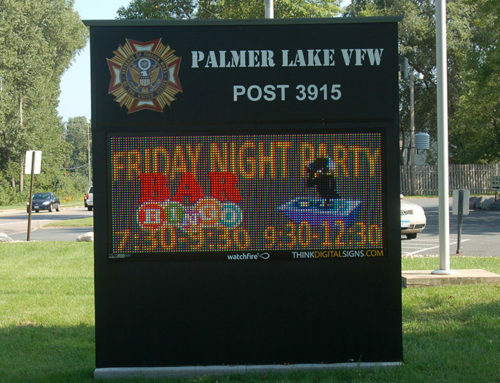 We’ll provide a professional location analysis to help you find the digital sign solution that fits your needs.